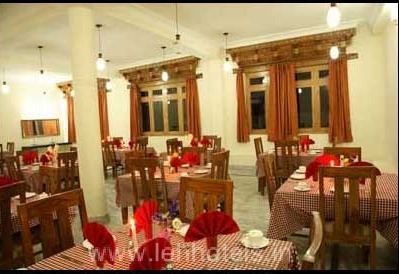 Hotel Munshi Continental is a budget property located at a distance of 4.8 km from Leh Kushok Bakula Rimpochey Airport, 477 km from Manali Railway Station and 1.5 km from Bus Stand. Famous excursions like Leh Palace(1.6 km), Shanti Stupa(4.3 km), Namgyal Tsemo Monastery(6.7 km), Stok Monastery(15.2 km), Thikse Monastery (18.4 km) and many others are at an accessible distance. Ample conveniences are offered at the hotel to suffice the varying requirements of guests. Front Desk, Room Service, Airport Transportation, Family/Child Friendly, Internet/Wi-Fi, Laundry Facilities, Major Credit Card Accepted, Parking, Backup Generator. Complimentary Newspaper, Telephone, Bottled Water in Room, Luggage Rack, Ceiling Fan, H/C Water, Attached Bathroom, Cable/Satellite TV, Internet Access, Air Conditioning Room. User reviews for "Munshi Continental Hotel Leh"